Ah, The Bard! Shakespeare has what we all want—lasting relevance. Sure he came around in a time when status updates were delivered by troubadours, and he didn’t have to worry about posting x# of blog posts every week, but he was prolific, and he told universal stories that people over the centuries continue to identify with. Well, as Ken Blanchard has shown us through his wonderfully accessible book, The One Minute Manager Builds High Performing Teams, Shakespeare can teach us to PERFORM. It’s cliché to say at this point, but a team is only as strong as its weakest member. Instead of asserting our own agendas (and risk alienating some of our teammates), try to foster an atmosphere of empowerment. • Get to know team members’ strengths and encourage them to take on aspects of the project at which they will excel. • Have a fair number of introverts in your group? Shake up the meeting structure once in awhile and have people work in pairs with a share out session at the end. • Leave the PowerPoint unopened and re-imagine the information you need to present. Often an activity or demo will engage people with the material rather than induce their epic mid-afternoon daydreaming sessions. When people feel empowered, they want to contribute. Obviously, these two things are paramount to the success of any high performing team, but for some reason, they often are forgotten or pushed aside in a misguided attempt to increase productivity. Effective communication supports an empowered working environment and eases the process of defining a shared purpose. Not only that, but putting a little more effort into communicating well with team members can result in the added benefits of a friendly group forming positive relationships! While we’re not telling you to go take an aerial yoga class, we do suggest that you allow yourself the freedom to stretch your brain a bit. Just like the limber bodies of a dancer, our minds are capable of incredible things when we work out their elasticity. Whether it is allowing a kinesthetic person to knit while at the meeting so they stay engaged, or truly entertaining a seemingly outlandish idea, flexibility can help you find the hidden gems within your team. (And on second thought, you really should go take an aerial yoga class). 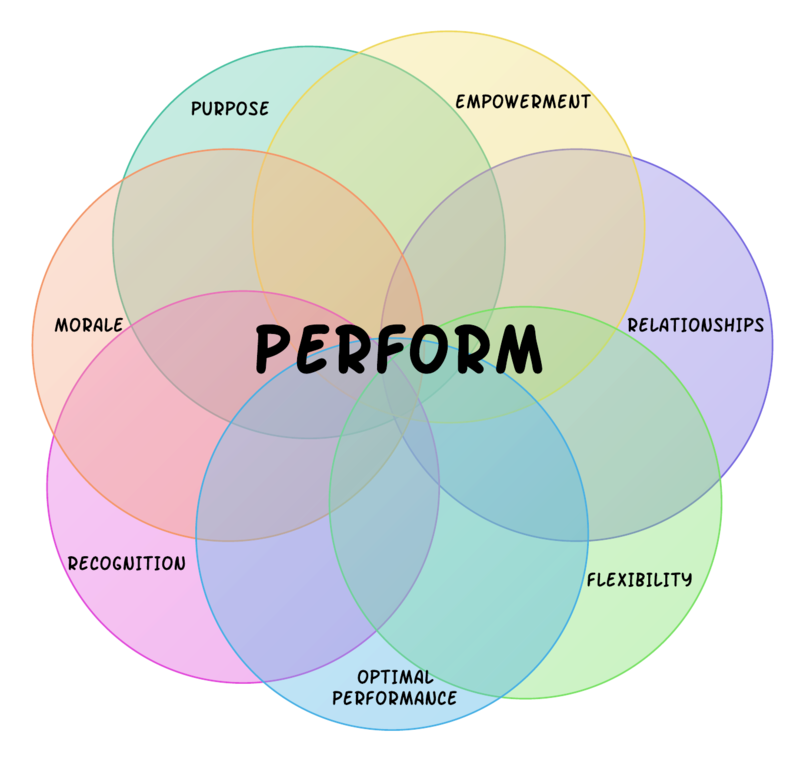 Successful teams need a leader who can manage a group’s conflicts and expectations, thus leading the team to an optimal performance state. This is the sweet spot—where productivity is at its highest and people feel a sense of pride and ownership in the project. Who on your team have you thanked today? People LOVE acknowledgement. The people over at TINYpulse recognize this, and have even added a “Cheers for Peers” function to their software. Check it out. All of the above actions contribute to this final piece—keeping morale HIGH! It’s a simple concept really: happy, engaged people who enjoy working together will achieve great things. A team with low morale will not be effective, and if things are really bad, completely dissolve. No one wants that (or at least, no one SHOULD want that if the team chooses to PERFORM). A successful team is a relevant team—a team that gets things done and is noticed within the company. 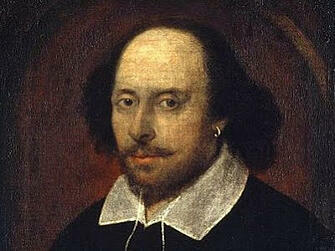 So take a lesson from the Bard (and Ken Blanchard), and teach your team to PERFORM.